Exploring the food culture of France is a great way to get to know the French and to develop a palette and appreciation for all the country has to offer. 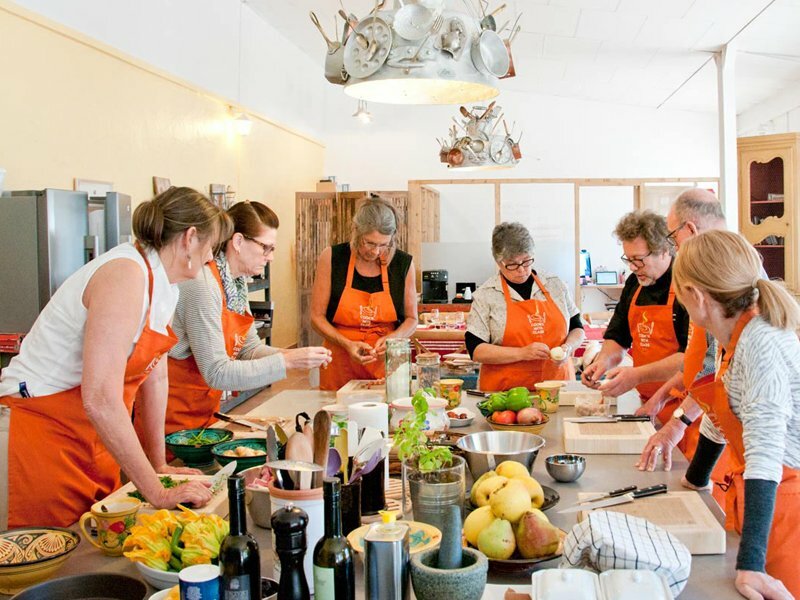 It is with this idea in mind – a Taste of France, a love of Cooking and a desire to share French culture with visitors that our French cooking school was born. 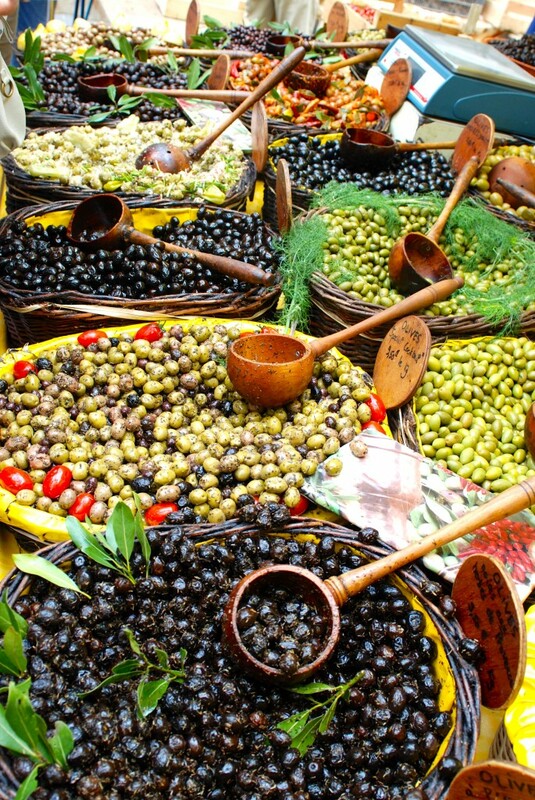 Through our French cooking classes in Uzès you will explore French cuisine, specifically Mediterranean and Provençale with market visits, local cheese & wine tasting & the occasional anecdotes. 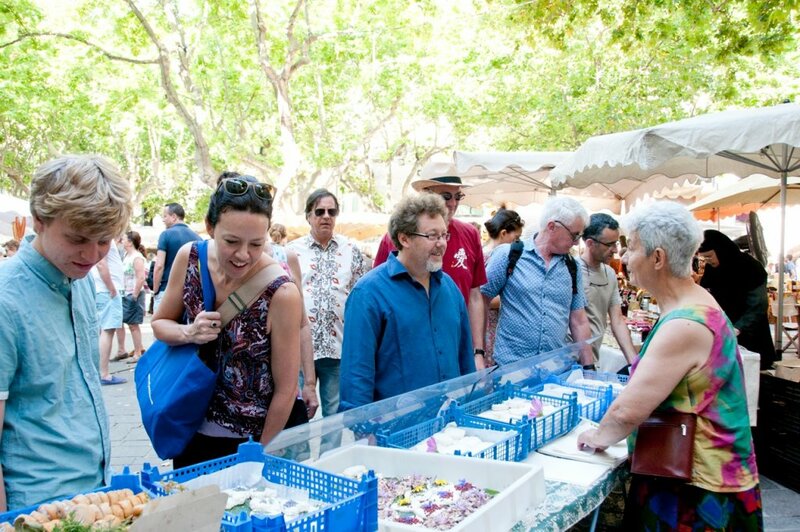 Your French cooking classes starts off with a local FRENCH MARKET TOUR with your French Chef, Eric Fraudeau. You return to the school for a HANDS-ON French cooking experience. You’ll dine together over a 4-course meal including French wine, French cheese & of course, French bread. Don’t worry, we won’t forget the Apéro before the meal to reward ourselves for a job well done. You will be introduced to a number of French cooking recipes and will be mastering French cooking in no time. All classes are taught in English. 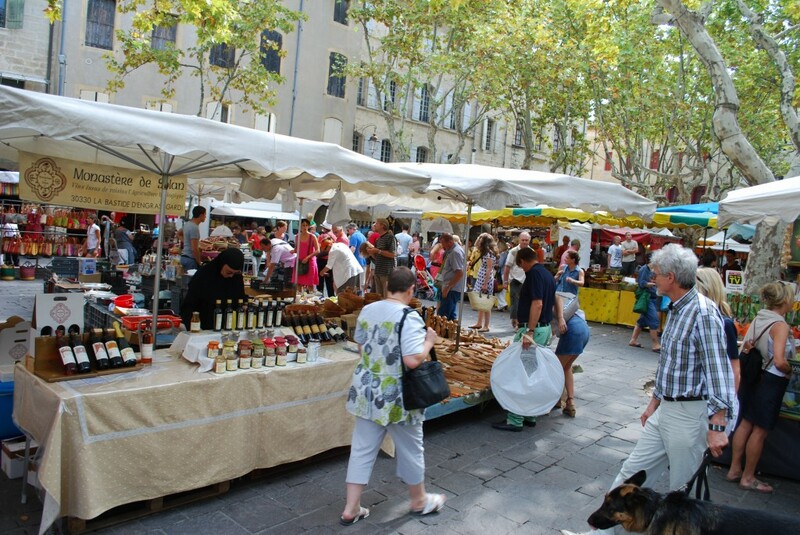 Looking for a fun way to discover Provençale and Mediterranean French Cuisine through regional French cooking recipes while in the South of France? 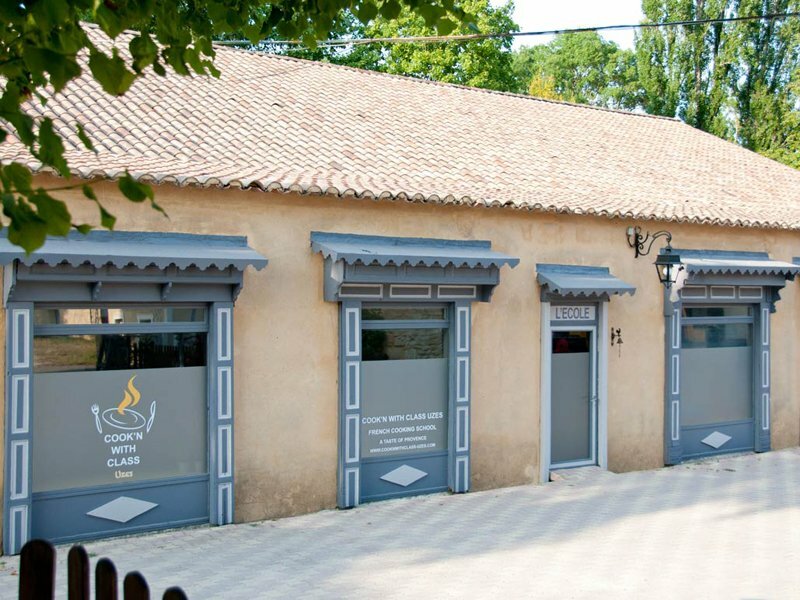 Look no further than our French cooking school, Cook’n with Class Uzès. Our guests receive 15% off their classes. Ask us for your discount code. Visit their site for more details. If you think chickpeas (or garbanzo beans) are just for making hummus, soup or salad bars… think again! In Montaren France, the humble chickpea has been elevated to Festival level. We try to never miss this event, and this year is no different. There will be lots of good food, excellent wines, entertainment and a chance to tour the local gardens. Bring the whole family, because there is something for everyone. June 5-6-7 in Montaren. Admission is free except for evening music events. Fun Things To Do This WE! Summer is almost here. The sun is shining, the wild flowers are in bloom and there are so many things to keep us busy! Here are a few local events you won’t want to miss. 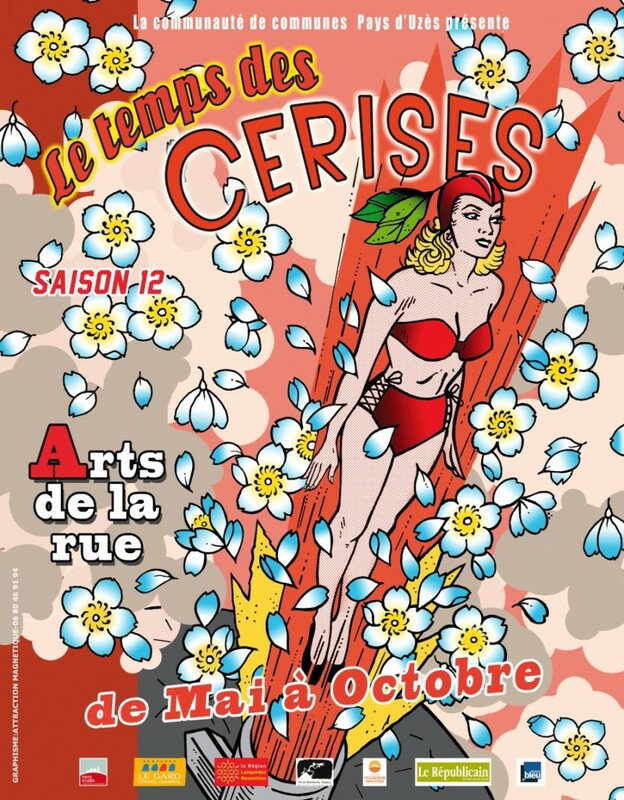 Le Temps des Cerises May 22, 6:30pm in La Bastide d’Engras. There will be entertainment, plus art in the streets. 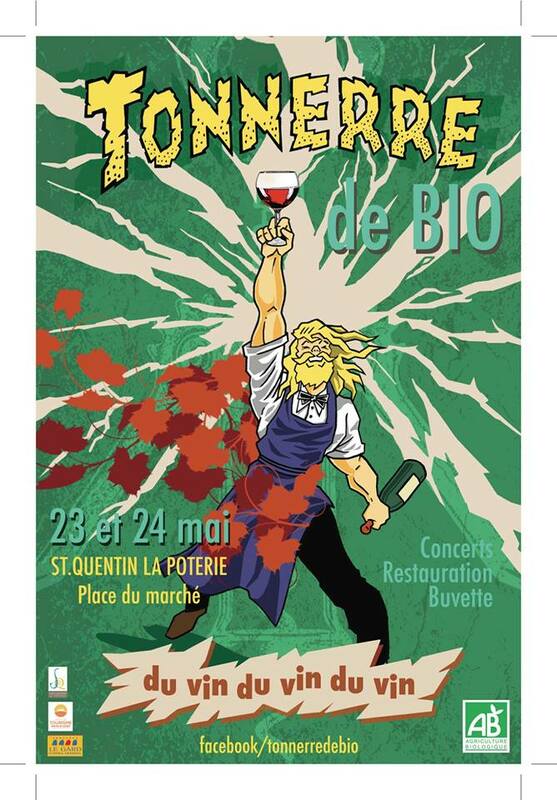 Tonnerre de Bio May 23 & 24 in St Quentin-la-Poterie. Organic wine festival with entertainment, food trucks and good wines! 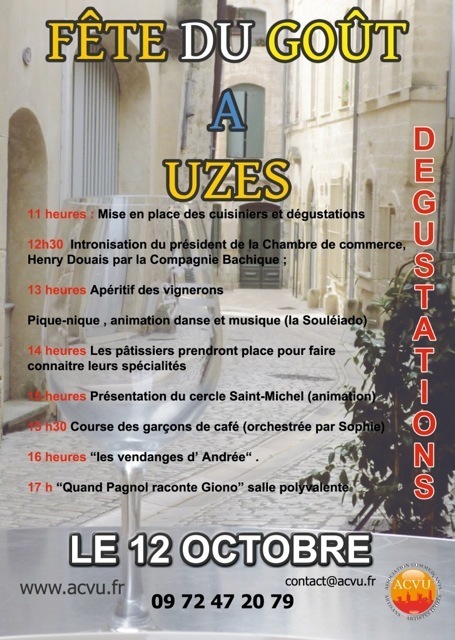 Another Great Film About the Uzès Market! 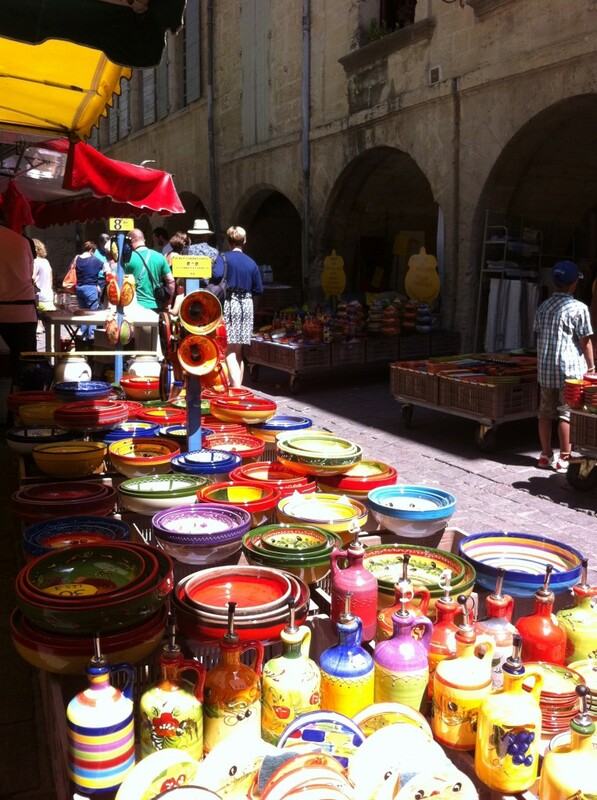 Here is another fun look at the open-air market in Uzès. In case you subscribe to TV-5 in the US, there will be a rebroadcast on April 30. 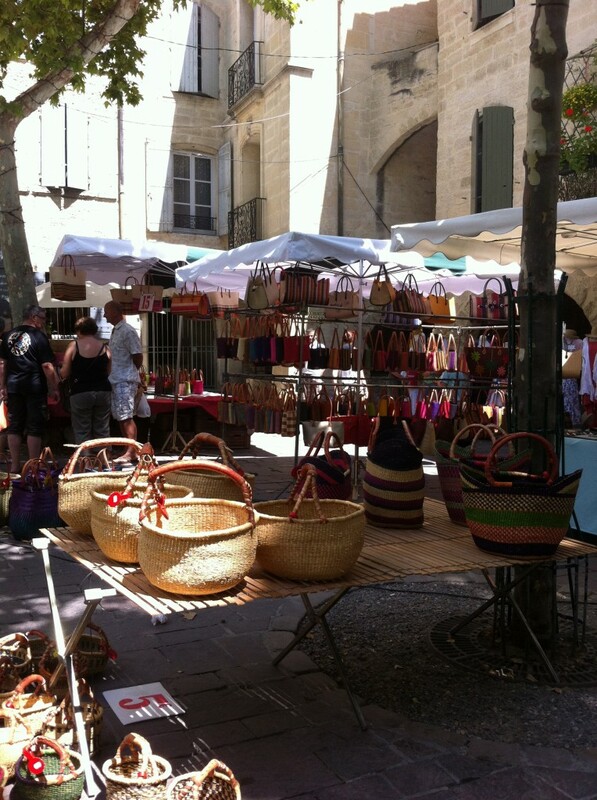 We brag about the market in Uzès a lot, but it is every bit as good as we say! Come see for yourself. You won’t be disappointed! Promise. 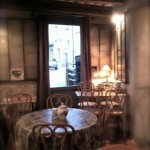 We manage la Tour des rêves (3 people) and la Terrasse d’Austerlitz (2 people), 100 meters from the place aux herbes. Be sure and watch this video in the next few days. It is only available on the internet until April 15th, so don’t miss it! French Channel-3 made the film and it was shown in France April 8th. Now we are making it available for you to see as well! 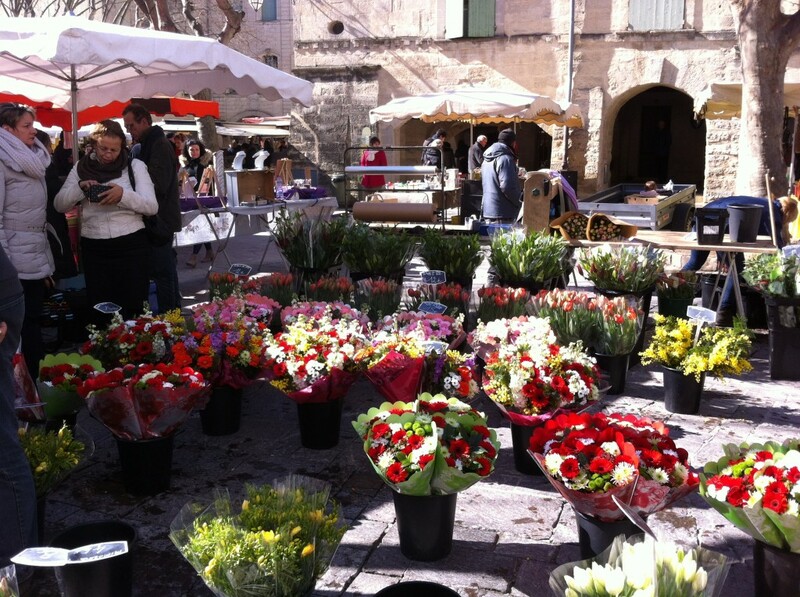 This film is for everyone who has ever been (or would like to go) to the open-air Saturday market in Uzès. Although it is entirely in French, the sights and sounds of the market make the film a delight! 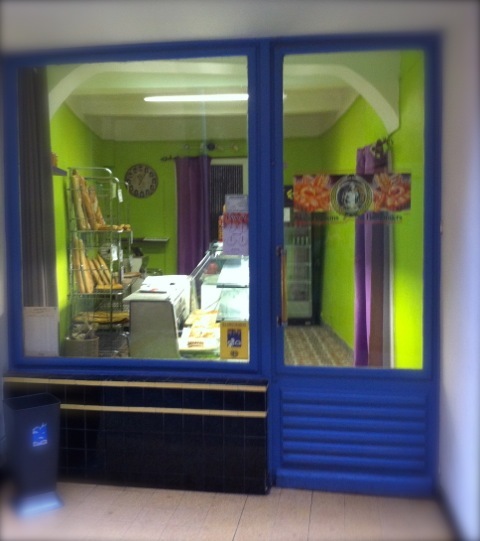 The featured chef in the Uzès segment is Oscar Garcia, of La Maison d’Uzès. He is the youngest chef in France to have a Michelin star. We get to follow him through the market as he searches for the local products he uses in his dishes. We get to see Régis Fabre, who has a trout farm and then sells the freshly caught fish at market. There is also a story about the Orthodox nuns from the monastery de Solan who make organic wines as well as jellies from their property. The film starts in Brittany in the town of Morlaix. After watching, we have plans to go there as well! Enjoy the film everyone! Sometimes it rains, and sometimes it rains all day! So, when that happens, it’s time to get the umbrella and go exploring! We headed to St Quentin-la-Poterie, which is just 5 kilometers northwest of Uzès. As the name suggests, it has been a center for pottery for a long time. In fact, many of the tiles for the Palais des Papes in Avignon were made there in the 14th century. So, when you wander the little streets of this ancient village, it’s easy to conger up images of 14th century artisans working on their tiles. It is also easy to walk into the present day artist’s shops and admire their beautiful pots! 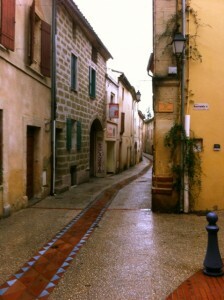 The street was wet and dark except for the bits of blue tile leading the way. 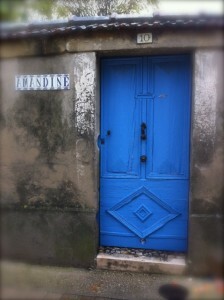 Back in Uzès, the Wednesday marché was going on… even in the rain. After all, we still need to cook our dinner! 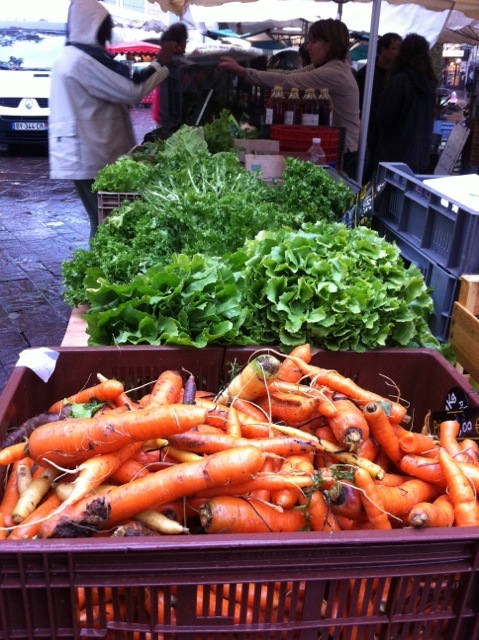 And, look how happy the carrots and lettuce are. 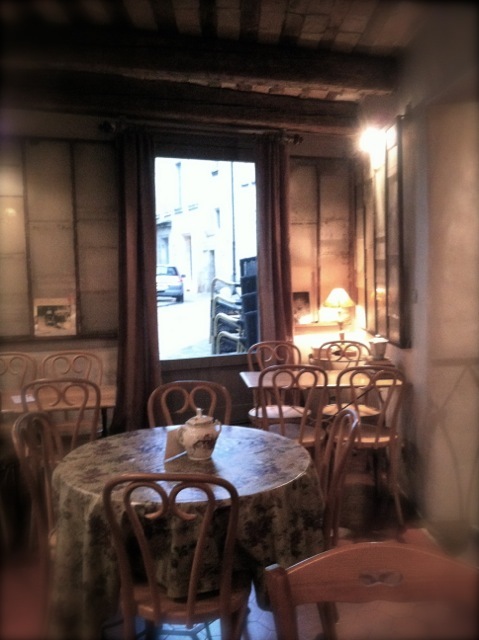 After a quick wander around the market stalls, we headed to Chez Cerise, a cozy little restaurant on the place Dampmartin. Now, I don’t want to sound too “over-the-top” here, but this place really is the answer to all of your romantic fantasies about little French cafés. 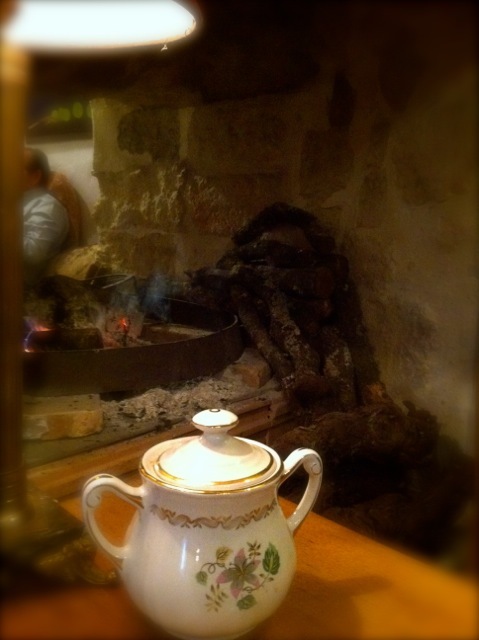 On this lovely, rainy day there was a fire in the fireplace, Michel Legrand music playing and one of the best lunches we have had in some time! How’s that for the answer to your dreams about France? The perfect spot for a coffee or lunch. 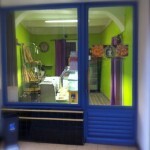 The bright colors of the bakery cheered us on! 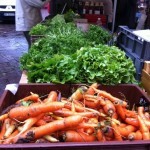 Well washed organic carrots and lettuce. 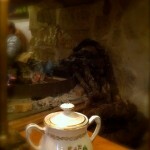 An open fire, an antique tea pot and a perfect lunch.